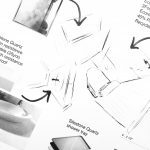 Watch this short promotional video for an overview of the home's special features, technology, and design choices! 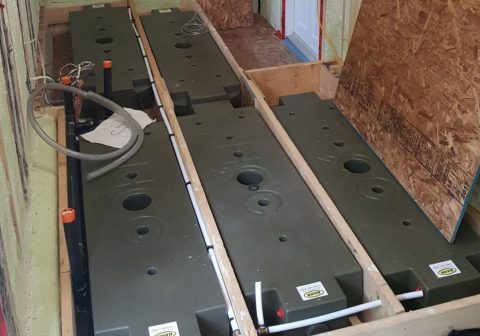 Several lithium ion Tesla batteries are stored in an interior battery box that can be used as a bench. They collect all of the energy produced by the roof-mounted photovoltaic panels, and feed electricity through the house. 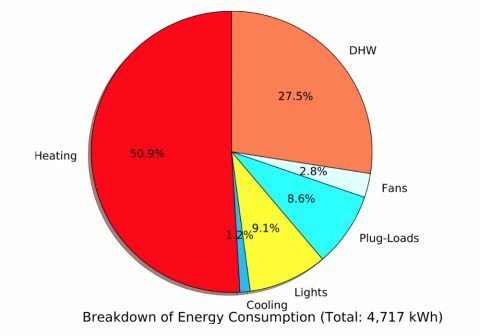 Energy modelling allowed us to study and learn about the home’s energy usage before construction even began. 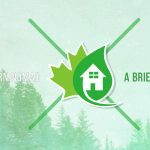 With the help of computer modelling software, we were able to digitally build the home and then confirm that it would reach its net-zero goals. 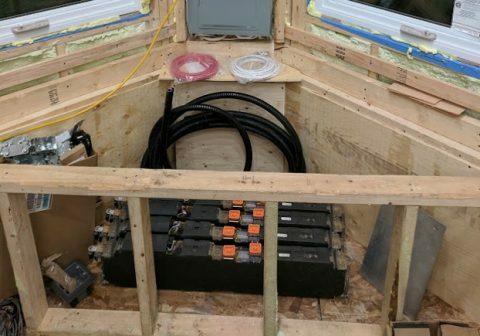 The high-performing envelope was accurately measured by the software, which then provided detailed predictions about the home’s energy usage, output, water generation, and more. 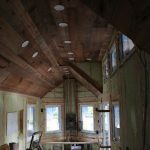 The house is heated and cooled by a highly-efficient mini split heat pump. It is design to work up to -25 degrees Celsius to combat the harsh Canadian winter, without generating any emissions. 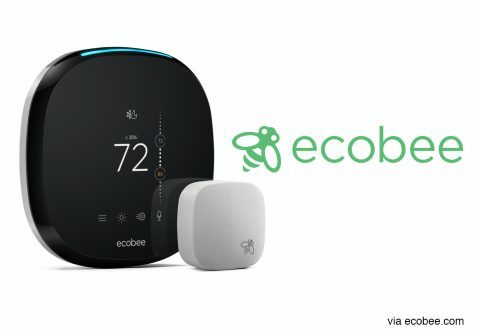 An ecobee smart thermostat is used to optimize and control its performance. Various home automation features (sometimes called “smart home features”) increase occupant comfort and provide homeowner peace of mind. 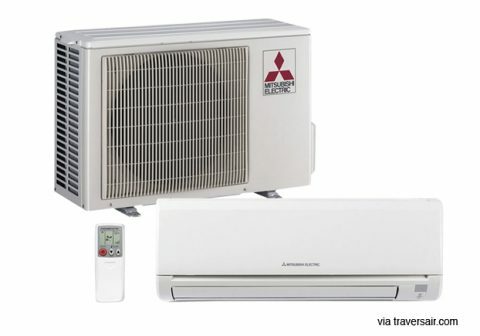 In relation to energy usage, and important feature is the ability to help control and regulate interior climate conditions by creating a relationship between the mechanical systems and exterior weather and temperature. For instance, if the air conditioning is turned on, the home automation controls will ensure that all windows are closed to maintain energy efficiency. The Nomad also features lighting control, smoke detectors, and remote door locking. 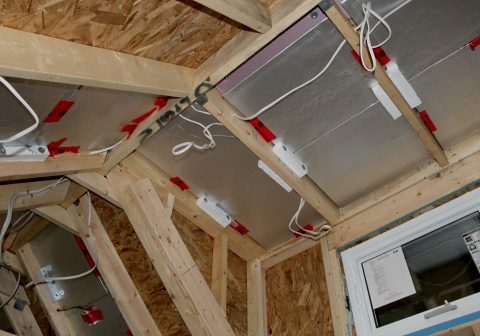 Vacuum insulated panels (VIPs) are insulating, low-conducting cores that are then made airtight; they are commonly found in refrigerators but have great potential in residential applications. Additionally, the home was spray foamed with polyurethane insulation. 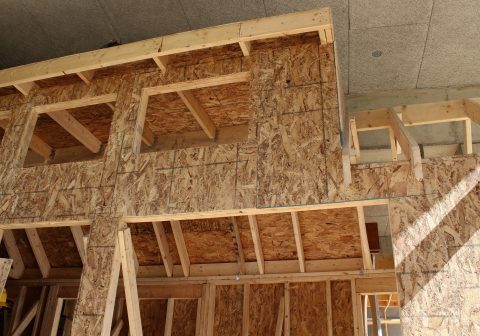 The combination of these two insulations types allows the envelope to achieve high R-values and energy efficiency. Plumbing was an important aspect due to the water storage tanks that are an integral part of the home’s net-zero water goals. The grey water Rainwater HOG tanks require very precise installation in order to work properly. 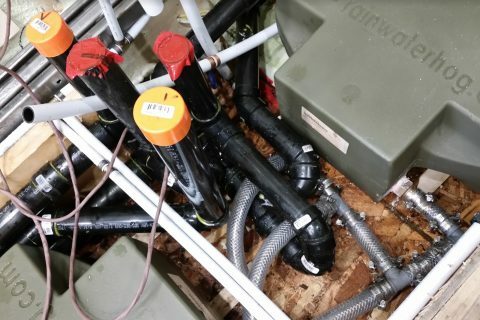 While ensuring that the tanks were correctly connected and installed, the plumbing had to also be low profile and installed in such a way to use the most minimal amount of space possible. DS Plumbing graciously provided their services and expertise while Sun-Mar donated the composting toilet. The roof was designed for optimal photovoltaic (PV) panel mounting and exposure. The PV panels collect solar energy to power the house while also providing a sleek, glass-like roof finish. The 42 degree pitch takes advantage of the most usable amount of headspace inside while also providing an advantageous angle for harvesting energy. The vented roof assembly is a creative design that provides cooling to the underside of the panels to prevent overheating. 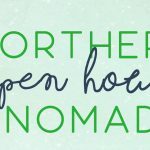 The Nomad will achieve net-zero water by collecting and purifying rainwater on site through the use of an atmospheric water generator (AWG). The AWG extracts water from humid exterior air by cooling the air past its dew point to generate condensation. This creates potable water, which will meet the home's water needs. Five rainwater tanks are hidden under a raised floor to store the generated water.